 By using this link and changing the date, you can view images posted on certain days (no new images are posted on weekends). Daily Pops prior to May 2013 were posted as gifs. Note: You can click on the images to view them at their original size, which is 540 x 395 pixels, and use your arrow keys to browse through each month’s gallery. Images are posted here in reverse chronological order, so the first row is the last week of a given month, etc. Feel free to use these images in your personal projects! It Moves: Only took a week. Oh Rats: Too busy around here for sneak peeks! Honest! Castle Crasher: A palace fit for a queen. Eyeline: I’m only happy when it reigns. Jukebox Hero: Stars in your eyes. De Plane: This is, at last, a paradise island. Floor Plan: Bellhop to it. School Daze: Final exams have started. Floor Plan: Let’s take this one from the top. Step Up: Keep the beat or else they’ll eat. Splat: The backdrop for syrupy sweet romance. On Your Marks: If we could only find the starting line. Amore: Stick to the compliments. Hearty: You’re such a sweetie. Olympus has Risen: We’ve always had our heads in the clouds. Cuckoo Birds: Don’t be a dodo. Up and Away: It helps to be full of hot air. Terra Firma: But not for long. Wheel Talk: We can go around and around on this all day. Newsy: On the hunt for hot scoops. Party Platform: These boxes are going to be a hit. Monkey See: Hail to the chimp, baby. Branching Out: Time for us to make like a tree, and leave. Cast Away: Take you on a cruise, so. Fireside Chat: Pull up a chair. In the Club: If you’ve got it, flaunt it. Shoppe Talk: What’s olde is new. Sack Lunch: Don’t forget to pack the produce. Old Growth: It’s a jungle out there. Hands Up: The end of the line. Hut and Stuff: Quit your jibber jabber. Pulp Fiction: The juice is loose. Landfall: We’re establishing a beachhead. Statuesque: This island has some kind of monkey secret. Trading Post: Exotic treasures from all around the world. Ice House: Finally, a place where you can really chill. Join the Club: Looking for adventure? Look no further. Beached: Your ship has come in. Watched Pot: Time to whip this thing into shape. Liftoff: Up, up in my beautiful balloon. Impressive: You know the drill. The Grind: This thing grinds harder than Eric Nies. Footfalls: You’re steps from freedom. Roll Up: A dillo of a pickle. Free Bird: And this bird you cannot change. Joy of Painting Just a happy little skyline there. Bay Bees Illegal rafting? That’s a paddling. Dossier: We’ve got a file on you. Safe T: Crack the code. The Digits: It’s all about proportionality. White Board: Inspiration happens online and off. Flock of Seagulls: You’ll run. You’ll run so far away. Flower Power: Sowing the seeds of revolution. Spoon Man: Come together with your hands. Tossing Seeds: I’m working, but I’m not working for you. Pumping Iron: The hard part is doing it every day. The Truth: Is it safe? Is it safe? Lineup: That’s him, third from the left. Like Emboss: That’s one way to make a good impression. Ingredients: We’re cooking up something special. Busted: Just call me Mr. Potato Head. The Grind: Rock out to some heavy metal. The Space Between: The question is, can you slip through the cracks? Roadblock: The traffic can be a killer. Benched: Maybe sit out the next couple of plays. Hooked: The hook brings you back. Make Tracks: We have the barest outlines of a plan. Drilldown: Find the right tools for the job. Plate Armor: This job is a license to thrill. Skylines: Keep running up that hill. Hall Pass: Your mess is mine. The Block: It will leave you in cinders. Dog Paddle: Keep kicking those feet. The Watchtower: Two riders were approaching, and the wind began to howl. For the Birds: We’ve got some nested tables. 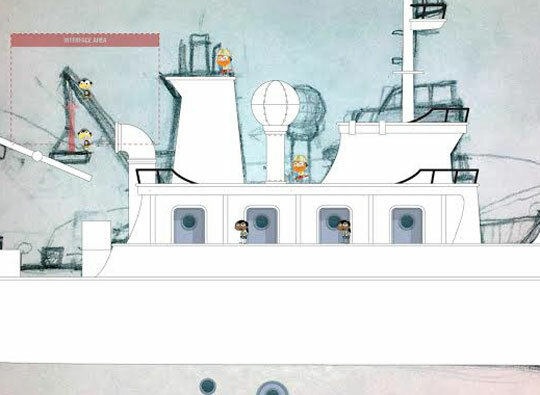 Ship Shape: We’re working in broad outlines here. Nested: I know why the caged bird sings. Tip Top: I can see my house from here. Inmates: They look more like twinmates. Posted: This guard towers above the rest. Outhouse: When you gotta go, you gotta go. Heavy Metal: Shop til you drop. Pumping Iron: You’ve got to carry that weight a long time. House Full: What ever happened to predictability? Venting: Just gotta get something off our shoulders. Save Ferries: Hang with the Bay City rollers. Top of the Heap: A silent sentinel keeps watch. Pipe Dream: This corridor holds some utility for you. The Deep: Boy, sharks can be pretty scary. Blocked: See you between the bars. Wild Parrots: Looking for a bird on a wire. Crusaders: We can be heroes, just for one day. Robo Vac: The future is finally here. Garbanzo: Conveys a sense of fearsome greatness. Pyramids: Gotta put this somewhere. Scaffolding: When it comes down, the work is done. Bear Minimum: We’d never settle for the lowest number of puns. Benched: You’ve reached the end of the line. Vault Tec: Let there be no fallout from this decision. Timmy Time: Failure is in the cards. Croaked: The face of disappointment. Noted: Leave no log unturned. Save Ferry: Maritime history comes to life. Motoring: You’re behind the wheel. Great Clips: The gardener is looking for some super cuts. Cellular: Won’t be getting calls in here. Barred: Once you go behind these walls, you may never come out. Slide Show: It’s electric. Boogie woogie woogie. Sprite Sheet: Frankly, this guy could use a little less caffeine. Higher Learning: So much knowledge your head will spin. Posted: Signs, signs — everywhere are signs. Portrait Hall: It’s all in the family. Dumped: Stay back at least 100 feet! Storage Space: Not a lot of elbow room in there. Scoot Along: That’s levitation, holmes. Garbanzo Man: He conveys a sense of fearsome greatness. Tyger Tyger: What mortal hand or eye could frame thy fearful symmetry? Coin Op: It’s always getting stuck in the machine! Mole Man: Also not the underground island you were thinking of. Down Under: Will this island ever come to light? Goodbye to Rosie: It was me and Julio, down by the schoolyard. Supine Ursus: That’s one lazy bear. Bowled Over: Another one like this and we go on strike. Biggest and Best: We don’t mean to sound like a broken record. Morning Zoo: Why can’t they just play music in the morning? Crazy Climber: Let’s hope these windows don’t give you a blue screen. For Lease: If you worked here, your commute would be done by now. Bowled Over: It’s the King of locations for your office party. Bear Minimum: Hibernation came early this year. Animal Kingdom: Come to me, jungle friends. Bank on It: You’ll vault ahead if you make your deposits here. K9 Cop: This place has gone to the dogs. Heroic Trio: The gang’s all here. Bringing Suit: Is it true that the clothes make the man? Over the Top: Things are looking up. Camel Kiss: We’ve got this problem licked. Automata: Do androids dream of electric sheep? Am I Dreaming: Is this burning an eternal flame? Table It: This is too taxing a discussion today. Fundamental: Take a look — it’s in a book. Oh Baby: Young at heart is usually good enough. Top of the Heap: One man’s trash is another man’s treasure. Take a Look: But you don’t have to take my word for it. Down in a Hole: One thing we shouldn’t do is keep digging. Dust to Dust: This gemstone is a smash hit. Spouting Off: If you see this fish, you’re in the splash zone. Home Again: You can’t fail to recognize this place. Vlad Glad: We’ll have to carry him out on his shield. Skeleton Key: Fantastic spikes through balloon is a classic. One Warm Line: Toward the beaux fort, see? Roast with the Most: Salad’s got nothing on this mutton. Embers: This fire burns, always. High on the Hog: Eat, drink, and be merry. Chest High: The richest man in town. You Wish: Wish there was something real, wish there was something true. After Hours: When the lights go down, the action heats up! GPS: You’ll never get lost, unless you already are. Wildlife: Get in touch with your wild side. Drydock: This one’s gone to ground. Moon Shot: Nice night tonight. Pen Pals: Rage, rage against the cage. Whitewater: We’re looking at a raft of problems now. Leftovers: Plenty more where that came from. Atlas Shrugged: Now we’ve really gone off the map. Mast Head: Don’t cross the streams. Uncharted: This settlement is off the map. Grotto Preminger: We’ll be direct: this common room is a star. Fishbone: One of the greatest bands of all time. Game of Thrones: Iron would be preferable to old splintered wood. Run Aground: Whatever floats your boat. Ascend: You will have seen the mountaintop. Upsot: The hull, you say. Sneak Peak: For once, not a typo. Downfall: Don’t go chasing these things. Basket Case: What a deflating voyage. Collapse: Jared Diamond might have something to say about this. Arch Enemy: It harbors dark secrets. Dig Deep: But don’t get tunnel vision. Design Concept: We sense a theme emerging. Looking Glass: Seven years’ bad luck if you break it. Royals: We are the sultans of swing. Sweet Dreams: Somebody still needs to make the bed. On the Level: Let’s table the discussion for now. Book It: Reading is fundamental. Mirror Image: It’s time for some serious reflections. Tower of Power: Reaching the penthouse suite. The Fall: That last step is a doozy. Puffed Up: The smoke gets in your eyes. Djinn and Tonic: One of these is the cure for what ails you. Smoke and Mirrors: It’s all just a big show, isn’t it? Amore: When the moon hits your eye like a big camel’s eye. Head Games: What’s in the box? Iconic: More quizzes are about to pop. Platform Neutral: Lots of interesting things go on in the shadows. Banner Day: Let your freak flag fly. Depressed: It’s another one of those hot button issues. Way Back Week: The robot revolution begins on Game Show Island. Goats Beware: One more throwback. We’re back for real tomorrow. Way Back Week: Many versions of E.Vile for Legendary Swords. Way Back Week: Architectural plans for Ghost Story Island. Way Back Week: Bridging cultures on Red Dragon Island. Fly My Pretties: Pry open the third eye and fly. Eggscellent: You’re a shell of your former self. Get Animated: Things are about to get expressionistic. Hall of Heroes: Meet the stars of our trek. Run to the Border: You haven’t lived until you’ve had a street taco. Hello: Is it me you’re looking for? Between Two Ferns: Where’s the other one? Bad Moon Rising: The days are hot but the nights are sizzling. In Between: We can fill this with our imaginations. Deserted: Monument valley, this isn’t. Chair Force: That’s great, kid! Don’t get cocky. Nest Egg: We were hoping for an empty nest. Time to Crate: Thank Old Man Murray for the measurement. Guano: Doesn’t it bug you when you step in this stuff? Skeletal: Looks like something you’d see on Tatooine. Spore: Life finds a way. Ghost Ship: We’re triangulating its position. Mushroom Kingdom: Major fungal infection. Belt It Out: Someone get Kuiper on the line. Pilot Seat: Time for your command performance. Food Court: You’ve got a date with deliciousness. Bounce Bounce: Dodge an asteroid or you’ll be destroyed. Virtual Reality: This is turning into a dactyl nightmare. Food Stand: Instead of walk and talk, walk and chomp. Magic Mushrooms: These things will bounce you super high. Poleaxed: Talk about collector’s plates. Intergalactic: Hot dog, this is going to be an exciting adventure! Busted: They don’t make them like they used to. Lock Up: Barring anything unexpected, you’ll be here for awhile. Rock On: Better be quick. Long Thaw: Ice to see you. Mint Condition: It’s only a collector’s item if you never touch it. The Matrix: Gird yourself for a grid. Message Received: This contest is over. The Crew: Wherever they go, trouble follows. Cribs: This is where the magic happens. Blocked: They’re giving us the hard cell. Gear Up: They’ve got the supplies, but little demand. Fallen Heroes: They should hold on the best they can. Sentinel: Keeping watch, but who watches the watchmen? Switch Plate: Build your own tower of power. Fat Stacks: Towers of treasures. Mounds of money. Boiler Alert: I think we determined that the boiler is persona grata. Like Crystal: This island will be a true gem. In Secret: First rule of a secret hideout: don’t put a sign up. The Leftovers: We all got left behind. My Own Prison: The worst cages are the ones we make for ourselves. In Too Deep: There’s deep undercover and there’s which way is up. Peace Offering: Don’t get left behind at the altar. Total Bunk: Anywhere I lay my head is home. Impassable Laser: That reminds us of a King Missile song. Doors of Perception: They don’t make these buildings like they used to. Pathwise: One of these spaghetti strands leads to the right place. Turban Core: Into the heart of a den of thieves. Transform: Get ready to go ape. Fallen Arches: Nothing golden about these. Lodging: Give your lands a rustic flair. Alert: Be careful in a den of thieves. Table Talks: Let’s put all our cards on the table. Rounders: Keep an eye out for these card sharps. Avast: Raise the jolly roger. Treasure It: Easy to get, incredibly hard to keep. Networking: Movies are our business. Get Decked: A good time is in the cards. 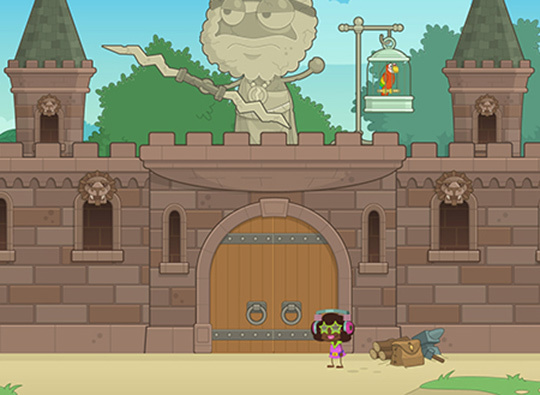 Hammer Time: We think Poptropica Land is a real trip. It Goes Down Every Night: This must be what jail is really like. Cave In: But can you cave out? Furnished: Set the place up however you’d like. Uncommonly Exciting: We’ve swept one feature under the rug for too long. Props to You: May your legend never fade. Iconic: Whatever you want, with the press of a button. Space Lawyer: This game is guilty of being awesome. Risen: You say you want a revolution? Contested: Will the winner please take the stage? Showdown: One ladder, many shoots. One Stop Shop: Say hello to our bundle of joy. Just a Trim: Or an entire makeover, if you’d like. Off-Screen: But we’re monitoring the situation. You Hall: The swag bag is loaded, but where’s the exit? Look Closer: It’s what’s under the cap that matters. Collect Em All: Keep them in the original packaging and they may be worth dozens someday. The Help: With an attitude like that, you’ll go far. Victory: It’s in the cards. Hall Pass: Low-pill carpet for a high-traffic area. Open Sesame: Into the jaws of defeat. Cliffs Notes: There are no shortcuts to knowledge. Spelunky: At the end of our rope. Camp Value: The pup tent sleeps one. Missing: This place is a shadow of its former self. Sleep Tight: Don’t let the desert locusts bite. In Spired: I can see my house from here. Merit: You’ve earned it. Scout’s honor. Whattya Buyin: Got some good things on sale, stranger. The Sting: Watch your step. Hump Day: Dromedarius to the maximus. Shuttered: This place looks deserted. Pick a Peck: He wouldn’t peck it all, would he? Rigged: This bear gets animated when she’s hungry. Itemized: But it’s a bad idea to deduct these important items. Palace Intrigue: Don’t let your guard down — or, better yet, do. Mirage: Don’t trust what you see in the desert. Mm hmm: You are not alone. Eager: A gnawing sense of deja vu. Clampdown: Just grin and bear it. Crystallized: The caves have come around again. In the Loop: Time is a flat circle. Cub Scout: So exciting, we can hardly bear it. Holy Moly: This is no tunnel of love. How Bazaar: Every time I look around. Coordinated: Of course, don’t lose the plot. Exodus: Gamer Guy shall lead them. Lumbering: You aren’t out of the woods yet. Toothy: This one will take a bite if you’re not careful. Into the Woods: More than a big bad wolf lurks here. Fulcrum: Did I see what I just saw? In Tents: Time to get bivou-wacky. Super Crate Box: This ought to help our standing with Old Man Murray. New Day Rising: Obvious things will dawn on you. Timber Tree: becomes pencil, pencil draws tree. Cruise Control: Things are a-boat to get hectic. Rats: This one won’t even help you cook dinner. Slipping Standards: Ninja? More like a non-ja. Hot Seat: This outfit will go straight to the dome. Shuttle Service: Blast off to the world of imagination. Zapped: A jarring circumstance for this little fella. Crafty: Don’t bottle up your creativity. Solstice: The sun at the center of it all. Line Forms Here: But it may be awhile. Unmasked: A costume is good for what’s alien you. Tree Topped: You won’t be-leaf where this tree is growing. Eye See You: Gaze into the abyss. Ocupado: When you gotta go, you gotta go. Tower Above: We’re looking for someone to set some real tower records. Cab Stand: Put the pedal to the metal! Al Fresco: Take in the air while you enjoy a stale hot dog. Steamed: No need to be a punk about it. Breakout: Some forces cannot be contained. Norse Code: That’s where I’m a viking! Socket: Don’t put a sock in it. Hanging by a Thread: Try to contain your excitement. Head Hunter: You need some real brass to find this item. Pad the Stats: The key to your breakout is written on the walls. Pod People: Don’t want to hang around too long. Con Game: This is serious business. Nothing comical about it. Fossil Fuels: If at first you don’t succeed, trilobyte again. Space Race: If you want something done right, do it yourself. Paradise Found: Long is the way, and hard, that out of darkness leads up to light. Binary Bard: Or maybe not so binary. Pride: And if you say otherwise, you’re lion. Mission Control: We’ve got a problem in every sense of the word. Nothing to Sphere: Goodness gracious, great balls of fire! Below: What do you call a skyline when it’s underwater? Fill Er Up: Get your pitcher taken. Log Heaven: At last, the woodland getaway of your dreams. Deep Dive: Exploring new frontiers. Tuck In: Time for a long night’s sleep. Hail to the Chef: Cleaver? I hardly know her! Welcome Home: We’re rolling out the red carpet for you. Button Up: This kind of sketch pushes our buttons. Log Files: Always be sure to keep a backup. Settle In: Have a seat. Sink right down. Fish Story: But this one is actually true. Motto: Strength rejoices in the challenge. Behind the Candelabra: This interior decorator uses every part of the animal. Hot Stove: Let’s not put this adventure on the back burner.